Cut This work was cut. The cuts were made at the request of the distributor to achieve a particular category. To obtain this category cuts of 0m 6s were required. Details of cuts below may contain spoilers or plot details. 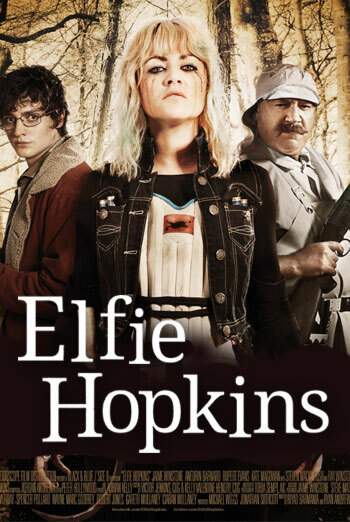 ELFIE HOPKINS is a horror drama about an aspiring young detective who discovers that a family in her village are cannibals. There are some scenes of strong violence, including a man being stabbed repeatedly, a woman being shot through the neck with a crossbow, a cannibal being hit with a heavy object and a woman's throat being slashed with a sword. There are various scenes in which marijuana joints are smoked. In particular, there is a scene in which two people are seen inhaling and exhaling from blown up balloons and looking stoned. Company chose to make reductions in two scenes of bloody violence in order to achieve a '15' classification (a frenzied stabbing with a knife and a man's head being shot). Cuts made in accordance with BBFC Guidelines and policy. An uncut '18' classification was available.